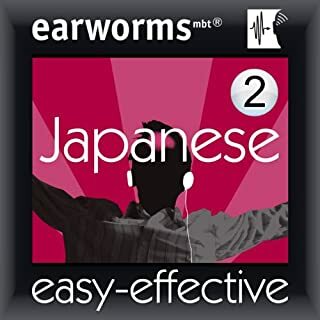 This is part two of the earmworms Japanese Course. This course uses a music background with a native and English speaker going over Japanese phrases and words. The course tends to provide a sentence, in English, and then in Japanese and then breaks down all the words in the sentence, and the pronunciations for the words. 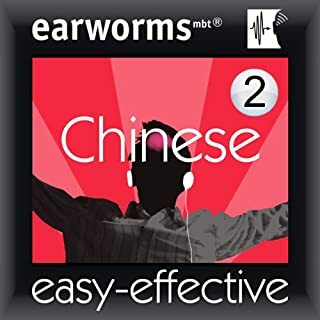 The course is similar to the other earworms courses, and if you liked one of the others I imagine you'll like this one. It's not a bad idea, although the tunes are not that great, I find that I can recall some of the sentences. A good supplement for learning, or for a quick fix before heading on holiday. 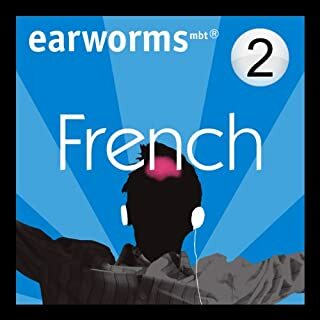 This is part two of the earmworms French Course. This course uses a music background with a native and English speaker going over French phrases and words. The course tends to provide a sentence, in English, and then in French and then breaks down all the words in the sentence, and the pronunciations for the words. The course is similar to the other earworms courses, and if you liked one of the others I imagine you'll like this one. Like any of the language courses, you get out what you put in. This course uses a music background with a native and English speaker going over Chinese phrases and words. The course tends to provide a sentence, in English, and then in Chinese and then breaks down all the words in the sentence, and the pronunciations for the words. The course is similar to the other earworms courses, and if you liked one of the others I imagine you'll like this one. It's not a bad idea, although the tunes are not that great, I find that I can recall some of the sentences. A good supplement for learning, or for a quick fix before heading on holiday but it is not a good standalone course. Like any of the language courses, you get out what you put in. This course uses a music background with a native and English speaker going over French phrases and words. The course tends to provide a sentence, in English, and then in French and then breaks down all the words in the sentence, and the pronunciations for the words. 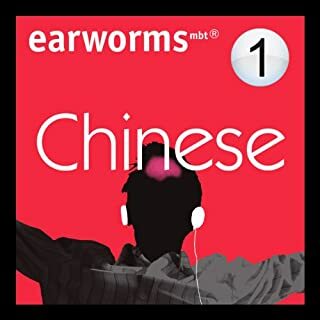 The course is similar to the other earworms courses, and if you liked one of the others I imagine you'll like this one. 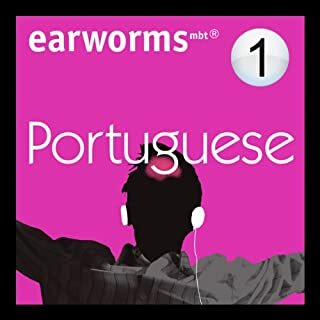 By listening to these specially composed melodies with their rhythmic repetitions of Portuguese and English a few times, you will pick up over 200 essential words and phrases that will not just be on the tip of your tongue but burned deeply into your long-term memory - in next to no time. Like any of the language courses, you get out what you put in. This course uses a music background with a native and English speaker going over Portuguese phrases and words. The course tends to provide a sentence, in English, and then in Portuguese and then breaks down all the words in the sentence, and the pronunciations for the words. The course is similar to the other earworms courses, and if you liked one of the others I imagine you'll like this one. Like any of the language courses, you get out what you put in. This course uses a music background with a native and English speaker going over Japanese phrases and words. The course tends to provide a sentence, in English, and then in Japanese and then breaks down all the words in the sentence, and the pronunciations for the words. 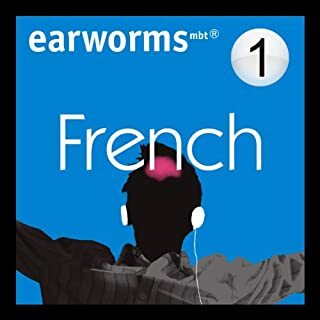 The course is similar to the other earworms courses, and if you liked one of the others I imagine you'll like this one. This is part two of the course. This course uses a music background with a native and English speaker going over Chinese phrases and words. The course tends to provide a sentence, in English, and then in Chinese and then breaks down all the words in the sentence, and the pronunciations for the words. The course is similar to the other earworms courses, and if you liked one of the others I imagine you'll like this one. Like any of the language courses, you get out what you put in. This course uses a music background with a native and English speaker going over Italian phrases and words. The course tends to provide a sentence, in English, and then in Italian and then breaks down all the words in the sentence, and the pronunciations for the words. 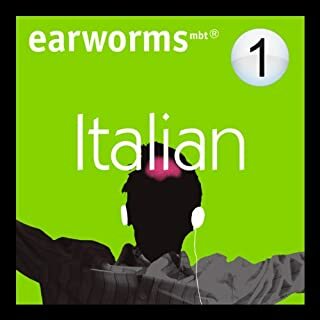 The course is similar to the other earworms courses, and if you liked one of the others I imagine you'll ; like this one. Like any of the language courses, you get out what you put in. This course uses a music background with a native and English speaker going over German phrases and words. The course tends to provide a sentence, in English, and then in German and then breaks down all the words in the sentence, and the pronunciations for the words. 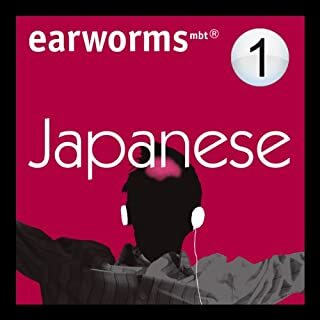 The course is similar to the other earworms courses, and if you liked one of the others I imagine you'll ; like this one. French Level 1 Lessons 11-15 builds on material taught in prior units. Each lesson provides 30 minutes of spoken language practice, with an introductory conversation and new vocabulary and structures. Detailed instructions enable you to understand and participate in the conversation. These are the more advanced Units of Phase 1, it follows on from Unit 10. The course, like the previous units, tends to provide a sentence, and then breaks down all the words in the sentence, and the pronunciations for the words. As I mentioned in the title, not a bad course and I'd recommend it to help supplement French learning. 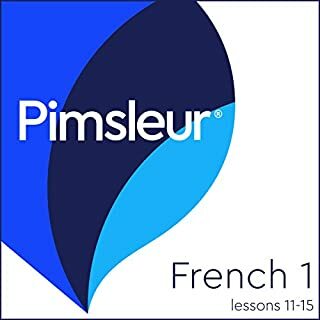 As a side note most of the Pimsleur course seem to follow the same learning approach and if you like one of the other language programs you'll probably like this one.